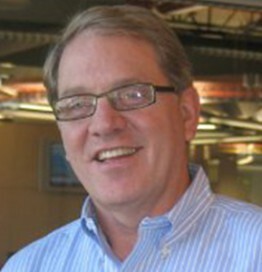 Speaker Background: Scott Simenson has more than 30 years technology experience, from technology research and application to microcomputing/processing to today’s high-tech automation/AI and robotics technologies. Simenson’s interest in computing and manufacturing, combined with partnership opportunities with MIT and other global Fab Lab members contributed the vision and development of the Fab Lab at Century College. As Engineering and FabLab Director, Simenson has also helped Century College develop a new Additive and Digital Manufacturing degree that prepares students to work as applied digital technologists in 3D printing, manufacturing control, automation systems and work in the rapidly growing IoT (Internet of Everything) field. The level of success achieved can be measured by the College’s recently completed a new $1.1M digital laboratory designed to support new college programs in Additive and Digital Manufacturing.